Undercover Black Man: Long live Ray Charles. I Can't Stop Loving You is one of my favorites when Ray goes to the country. ^ My mom loved that cut. I played it for her repeatedly during her last day of life. My favorite from that album is "Bye Bye Love." 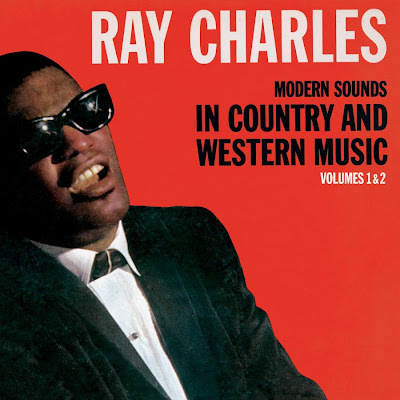 I have always admired Ray Charles for his eagerness to explore different types of music. He also did a great "Ring Of Fire," on the Johnny Cash show. I recently started looking at the variety shows that singers had back in the day. (I was too young to remember them when they originally aired.) Johnny Cash had Ray Charles on his show, Flip Wilson had Bobby Darin on his. The Muppets had guests like Lena Horne. There just seemed to be a real sense of friendship going on. I hate to say it, but I can't think of a single singer today with enough talent to host a weekly variety show. Country music has always been very popular in Nigeria. ^ Wow. I never knew, John. And thanks for pointing to those Comb & Razor posts, which I had missed.